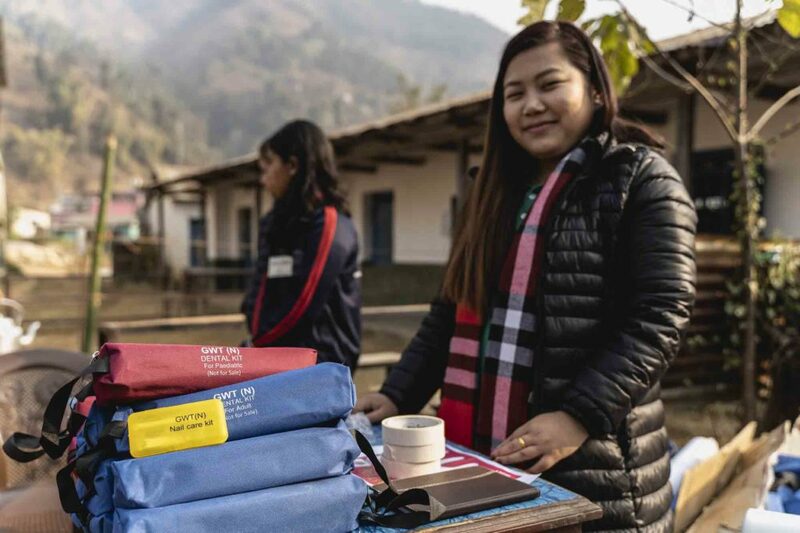 We hosted our 100th medical camp for the people of Nepal. We held our first one back in March 1999 in Pirti, eastern Nepal. Fast forward to this year and the camps have treated well over 150,000 people. Our medical camps are open to everyone in the community and are held in partnership with the Kadoorie Agricultural Aid Association (KAAA). 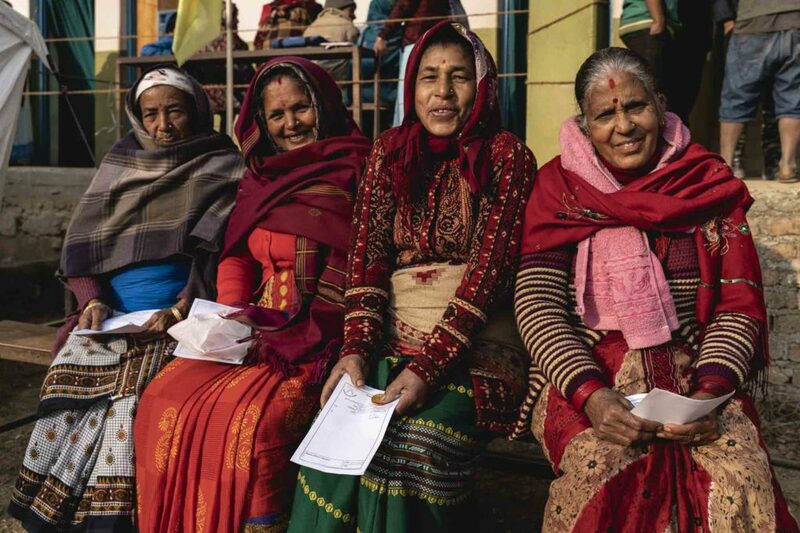 They are a vital lifeline for many across Nepal who otherwise don’t have access to essential medical assistance. Indeed, many people suffer needlessly with relatively simple-to-fix complaints like tooth-ache, cataracts or simple skin conditions. These camps change that, and as a result have a huge impact on the quality of life for thousands of people. The camps are incredibly well attended. 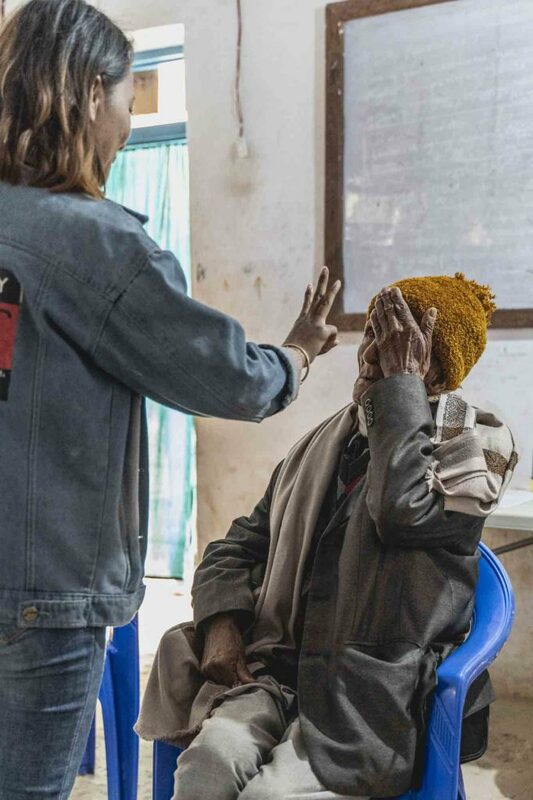 At the camp in Baglung, central Nepal last month we had three general practitioners on site, one dermatologist, two eye doctors, a gynaecologist and two dentists. Between them over the three days they saw over 1,500 people. Over the years our teams have developed an effective system to deal with such a large number of patients. Similar to the way an accident and emergency department might operate here in the UK, patients are first screened by a triage nurse, where basic tests are undertaken such as blood pressure, blood sugar (where required), and weights and heights are recorded. They are then consulted before being referred to the specialist healthcare professionals for treatment. We were pleased to mark the 100th camp with a new initiative for attendees. Our staff hosted a hygiene and sanitation stall to provide education to those in attendance. Presentations were made on the prevention of things like gum disease, diarrhoea, hypertension and more. Not only did the team hold exercises and classes at the stall, they also distributed hygiene packs including toothbrushes and toothpaste and also hand-washing kits. They proved especially popular with the local children.